T.K. Sundaresa Iyer talks about his experiences with Sri Ramana as a youth. Note: T.K. Sundaresa Iyer (T.K.S) met Sri Ramana in 1908 when T.K.S was only a twelve year old boy. Bhagavan, although a full blown Self-Realized sage, was also quite young and in his late 20’s. Many early devotees have described how Bhagavan by his sheer look would give them experience of the Self. However, this was not true in every case. 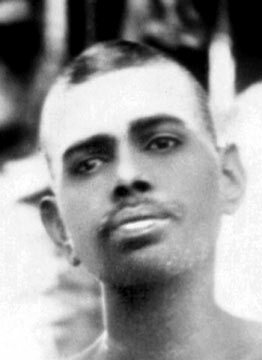 T.K.S’s cousin Krishnamurthy had been visiting Bhagavan Ramana regularly and would sing songs of devotion to him. One day T.K.S asked his cousin where he went every day. Krishnamurthy told him about Ramana and said, “The Lord of the Hill Himself is sitting in human form, why don’t you come with me.” Both of them then climbed the Hill and went to Virupksha cave to visit the Sage.